Steven Fenton graduated with a 1st Class Honours degree in Electronic & Information Engineering from the University Of Huddersfield, UK. Following graduation, he worked at senior design level within the audio industry both in the UK and Belgium, developing cutting edge technology within the professional and consumer audio marketplace. He is currently employed by the University of Huddersfield as a Senior Lecturer in Music Technology. He is an active member of the Music Technology Research Group at the University and is studying part time towards a PhD in Objective Measurement Of Sound Quality in Music Production. His research interests include the measurement of audio quality in commercial music production, broadcast and audio systems. 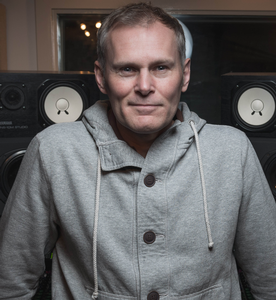 Steven also runs his own commercial recording studio and has a number of engineering and production credits on album, single and remix releases.